100 Year old Pure wrought iron etched with acid used for computer motherboards. 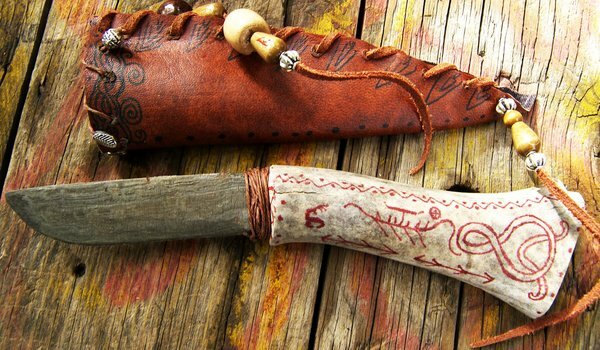 Ritual Dagger Made of etched pure iron and reindeer antler. Very fine silica pattern in pure iron. Over 100 year old material. 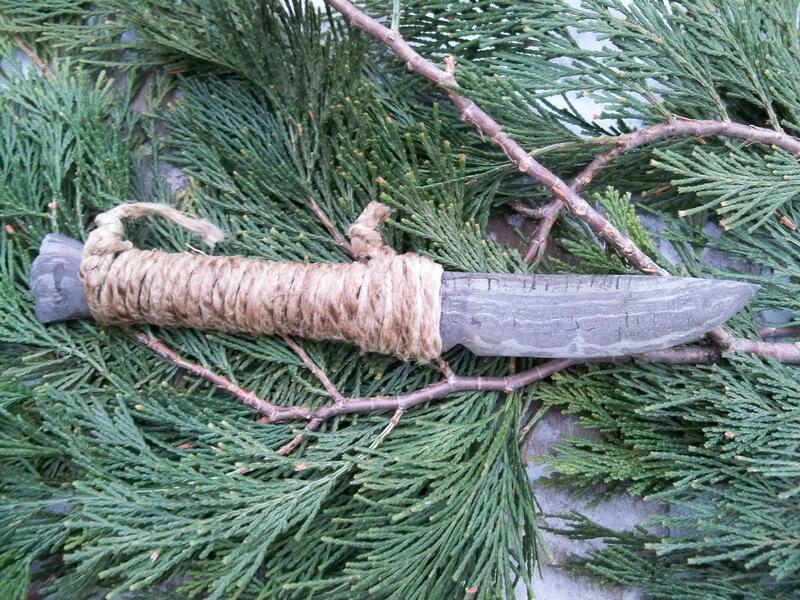 Iron is not a material for making a utility knife. It sharpens to as fine an edge as steel or bronze but will not hold it very well. Daggers like the ones above are more to expose the beauty of iron in pure form and create truly unique Athame’s or Ritual daggers as the pure iron has intense metaphysical properties. Simple Rules about forging pure iron and achieving a fine pattern. 1. The longer you forge iron the less intense the pattern because you are naturally removing silica glass and adding carbon. essentially turning it into steel. 2. Photo 1 is a good indication of cracking during a forge. This was an earlier piece and I ended up forging bellow brightest orange. In this case it added age and charm but it is still best to avoid cracks. 3. To create a very deep etching I leave it in pure acid for 5-10 hours and then rinse in water until clean and pattern is visible. 4. A smooth mirror or fine matt finish will help create a very nice looking pattern. 5. Iron is naturally corrosion resistant because it lacks the heavy carbon content of steel. The material above is 100 years old and is as strong as the day it was made. 6. Iron has just enough carbon to quench harden but it will not harden significantly. It will more or less become tougher. 7. The acid I use for iron and copper can be purchased at Radioshack and is used for motherboard etching. 8. Forge slowly at high heat. No exceptions or you will likely ruin your piece. 9. Iron in a pure wrought form ( also called Swedish iron or Coal iron) is very rare in the USA now but it is available if you look very hard. 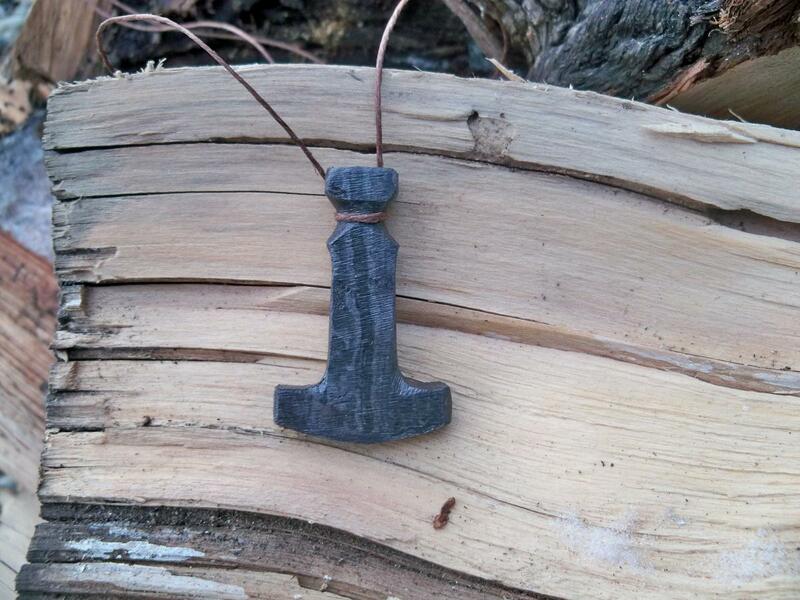 A fine grain iron Thors Hammer. No better material than this for a hammer. 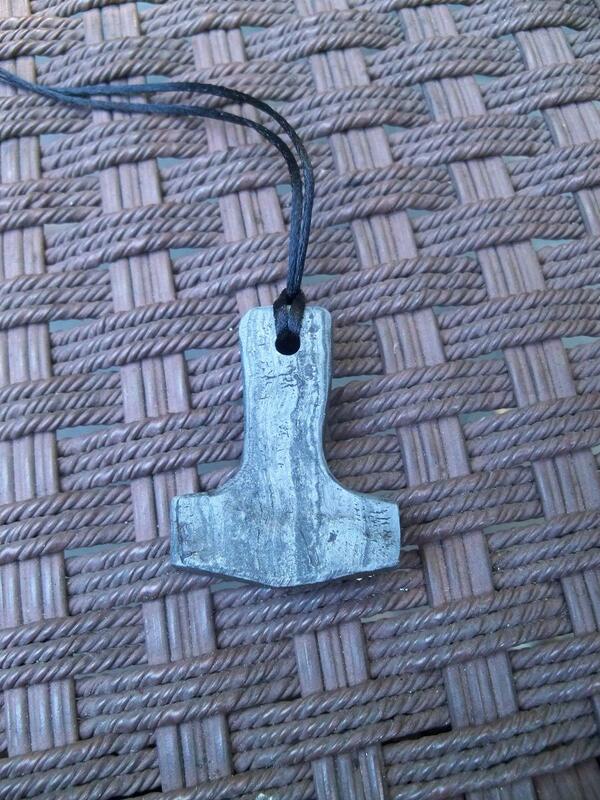 Pure iron Thors Hammer. Over 100 year old material. Etched in acid. This entry was posted on July 8, 2011 by .. It was filed under Knife making-Blacksmithing and was tagged with acid etching, coal iron, etched iron, etching metal, forging iron, iron seax, pure iron, pure wrought, real iron, wrought iron.